Slotty Vegas may or may not stand out because of multiple factors, but there is one thing about them which will certainly pique your interest – they claim to be an online casino that pays out more. Well, what does that mean exactly? More importantly, how much more? The casino boasts an innovative idea called Supercharged Spins. Namely, they will boost every winning spin on select games with 1% extra on top of your regular win – at no extra hidden cost. All the extra cash you win through Supercharged spins will be situated within your Supercharged wallet, which unlocks twice per week into usable funds. Right off the bat that’s a good sign for players, but let’s see if the rest of what they have on offer complements the initial impression you’ll get at Slotty Vegas. Having a good bonus has never been the decisive attribute of a proper online casino, but Slotty Vegas welcomes new players in a with a well-rounded first deposit bonus in a which we can’t ignore. While the bonus itself is great, you will have to put in some work to actually clear it of the wagering requirements in place – X30 the bonus. Moreover, slot machines are the sole contributors towards the wagering process. The Supercharged in a way make up for the rather high turnover requirements in place, but it’s still something you will have to consider before taking the casino’s bonus. Slotty Vegas may not be your priority bonus destination, but as far as games go they are easily up to par with the absolute top dogs in the industry. Frontiered by Microgaming and NetEnt, the casino’s gaming library boasts hundreds of games that can offer entertainment for months upon months. That, combined with the ability to generate extra cash through Supercharged wins makes the casino a gaming haven. As far as the actual games go, slot machines are by far and away the richest in diversity and quality. Moreover, you have a sizable table games collection consisting of Blackjack, Roulette, Baccarat, Red dog, TXS Hold’em, Oasis Poker and many more. When it comes to payouts, Slotty Vegas is one of the fastest casino in the industry, with withdrawals sometimes taking as low as 4 hours after request. Deposits are, of course, instantaneous and carry no fees attached. As far as the methods themselves go, they are available in abundance. From credit cards to e-wallets, you have VISA, MasterCard, Neteller, Skrill, Webmoney, Bank Transfer and quite a bit more. All in all, you can rest assured knowing you will not have any issues with taking money in and out of the casino. Slotty Vegas does not offer a live dealer tables, which hardly comes as a surprise given their current philosophy of fast paced gaming action with a heavy emphasis on slot machines. Due to this, we highly doubt their stance on live dealer games will change in the near future. Should you ever run into issues during your stay at Slotty Vegas, you can always resort to the speedy live chat option situated to the right of your screen. Well, almost always, as their working times do not extend past midnight. The night owls among you will have to resort to the FAQ section or e-mail should an issue occur during an odd hours gaming session. Telephone support is unfortunately not an option. 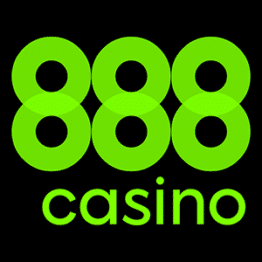 The website makes it apparent that the casino was built from the ground up with mobile users in mind. It is incredible straightforward and free of any clutter, whereas all the extra space is used to give you the clearest picture of the games available on offer. The mobile casino can be accessed through any iOS, Windows Phone or Android device without the need of downloading an external app. Overall, you can expect nigh flawless performance with a top tier quality of mobiles games, most importantly NetEnt’s Touch series of slot machines. The games themselves are highly responsive and smooth, as you can expect from gaming providers of this stature. Slotty Vegas initially stands out from the crowd because of their Supercharged Spins system, which is extremely rewarding in the long run at no additional cost to you. This is something no other casino has done, and it’s definitely an incentive enough in itself to make this casino your next gaming destination. Moreover, there’s a high chance you will grow to like their design philosophy. Whether you’re playing on the go or from the comfort of your desktop, you’re in for a very streamlined user experience thanks to the simplistic, yet gorgeous website. Something similar can be seen at Leo Vegas, but we dare say Slotty Vegas have done an even better job here. Moreover, you’ll find another novelty in Slotty Vegas’ gaming page, which is the “More Wins vs Bigger Wins” adjustable games’ filter. It can be translated to Low vs High variance, and it’s an excellent way of finding games to play depending on your current mood and bankroll. Slotty Vegas as well as BETAT online casino both fall under BringIt Affiliates. The program offers lifetime commissions of up to 40% with zero negative carryovers. You can get the full details over at Slotty Vegas’ website, as well as find convenient options of chatting with an affiliate manager. All in all, what we have on our hands is a highly gaming and mobile centric online casino. Naturally, when all is and done the games are what matters the most. As far as bonuses go, you won’t find all too many at Slotty Vegas, although they are not shy when it comes to throwing the occasional promotion to loyal players. However, the wagering requirements may put you off – and justifiably so. When it comes to literally anything else, however, Slotty Vegas strives in excellence and are a great long term destination for any gamer due to Supercharged spins on top of their already vast gaming library.